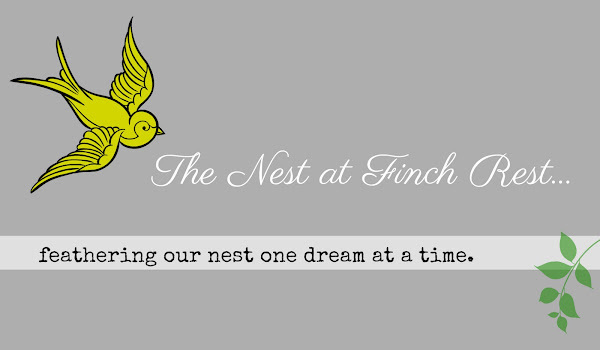 The Nest at Finch Rest: Pink....Bloggaversary... and a Giveaway! I am giving away this shabby vase thingie. 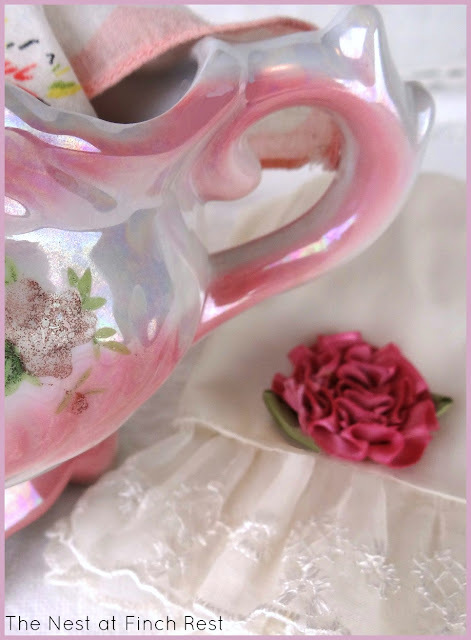 Perhaps it was once a sugar bowl? I like it has a rainbow glaze wash.
* Drawing (random number generator) early next Sat. - Jan. 19th, 2013. * Please leave a comment to enter. * One extra chance if you mention the giveaway on your blog. * Continental US only this time - so sorry about that! * No need to have a blog but please check email often. If winner I shall need your address. * If no one claims prize by Tuesday the 22nd, at noon another random number pick will be picked. As always, I thank you for your visit. Tweak it Tuesday * Cowgirl Up! I think it is a gorgeous "thingy". Can't you just see it in the craft room filled with buttons? Happy Blogaversary, Michele! It's been wonderful getting to know you through your blog. Let's make sure we plan something soon to get together in person. That will be make some blogger happy to win. It's very pretty Michelle. And you are so generous to have a giveaway to celebrate your anniversary of blogging. I've been following you for a few months and so love your writing and pictures. I have however, been blessed to have won a lot of giveaways in the past year, so please don't include me. Just wanted to give you some blog love! 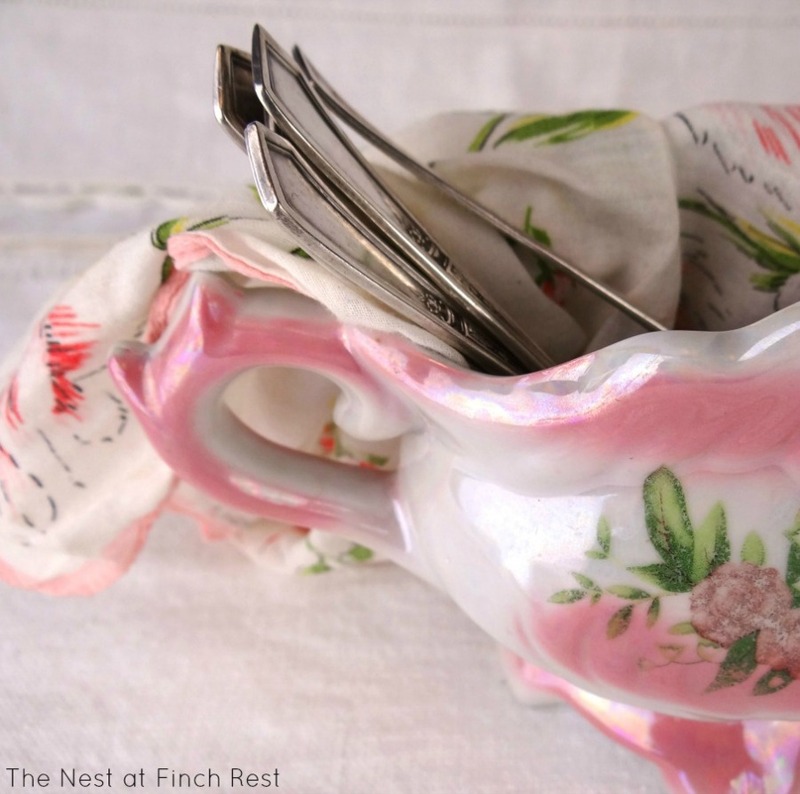 Your pretty little chippy china is very sweet, and it sure does have potential! Congratulations on your first year. I enjoy my visits here! Happy first year to you!! Great giveaway!! So pretty! Congratulations on the anniversary of your blog!!!! little dish to hold bath salts in the bathroom. Congratulation of reaching this milestone with your blog! Hope you have a wonderful weekend, my friend. Happy anniversary ! Your pink thingy is lovely but don't enter me in the give away, I have soooo many little pretties someone else should enjoy this. Happy one year, Michele! 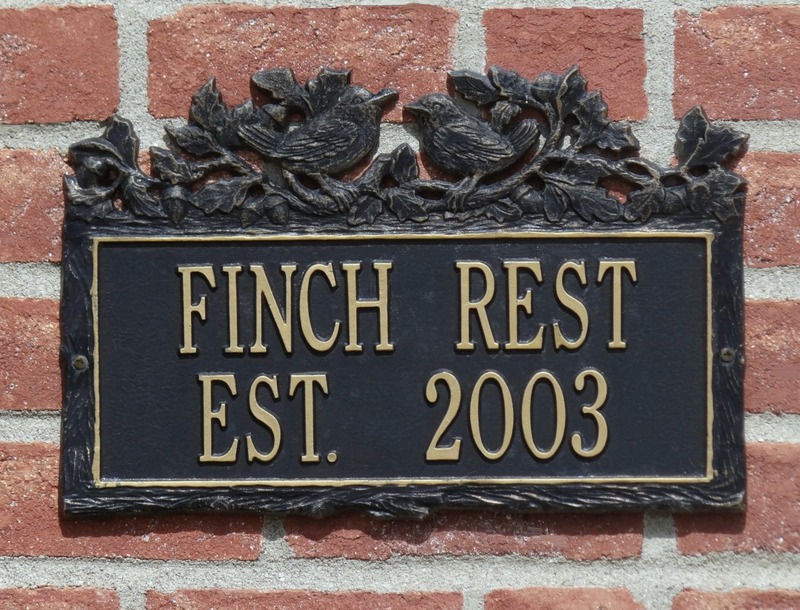 I always enjoy coming for a visit. Congrats, Michele! It's lovely having you in Blogdom. What a lovely blog you have! I like the shabby vase thingie, very pretty and pink! Hi Michele, what a fun giveaway. Any Pinkie would love to win this darling what not. HA! 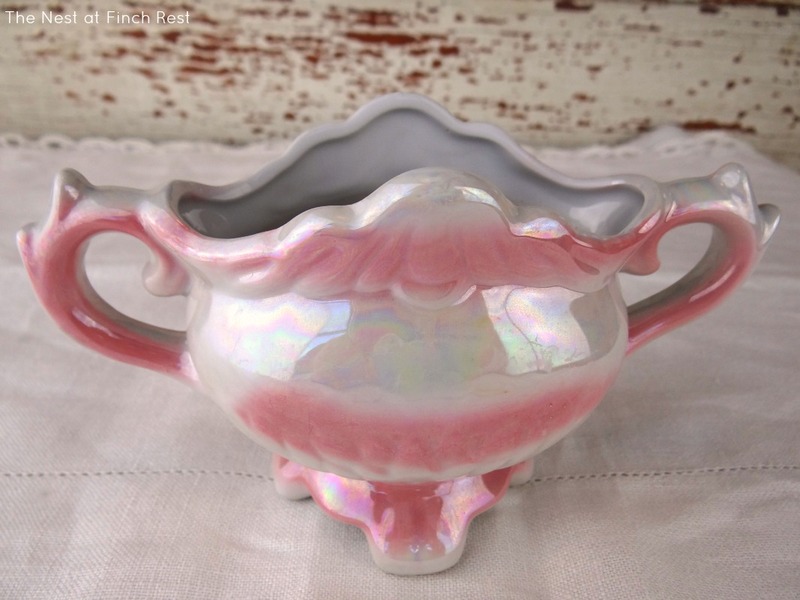 I think it might have been a sugar bowl. I see many possibilities here. What a lovely giveaway. Happy Bloggaversary! I love the paint used on this bowl. It reminds me of the sweetness of the past. Have a wonderful sweet Saturday! Hi, happy bloggaversary, how sweet that you are doing a giveaway to to celebrate this special day. We got a second round of snow here today. WOW...a whole year already? I always enjoy your blog. Great giveaway! That is so pretty! Would love to have it in my kitchen. You've had a wonderful first year Michele. Congrats and may you be blogging for many more. I don't know what that container once was, but it is very, very pretty! Thanks for dropping by my blog today and enjoying my tablescape. I love hearing from you. I understand about life, we don't always get to blog when we want to. 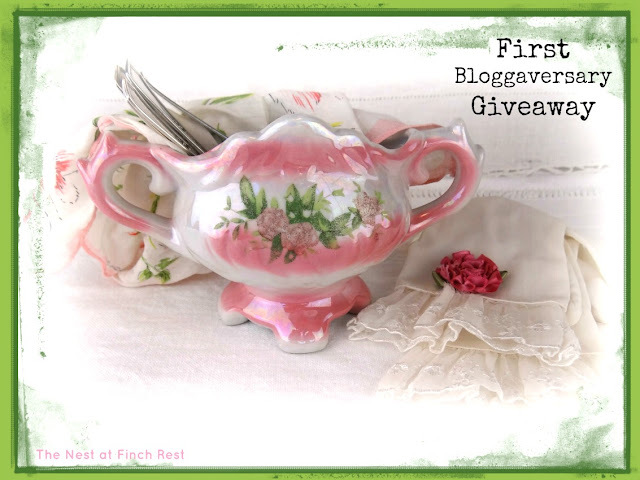 I am super thrilled to enter your giveaway, but I think I already did, lol! Yep, I just scrolled up and saw my post. So don't count me twice, I don't want an unfair advantage. Happy first year to you!! I am a new follower.. Love the name of your blog! Very cute giveaway! Happy blogaversary! I think the lovely pink thingy was just made for holding lilacs in spring! Congrat my sweet friend! Yes, it's shabby and chippy but oh so cute! Please include me in your drawing. Such a fun little piece that could be used for so many things! Thanks for sharing with Share Your Cup. I am putting your give away on my side bar. Thanks again! So happy to call you friend! Love it. Thanks for the chance to win. I love pink! What a beautiful giveaway! Pink is the perfect color. Happy Blogiversary to you, Happy Blogiversary to you.......great giveaway thingy!! !